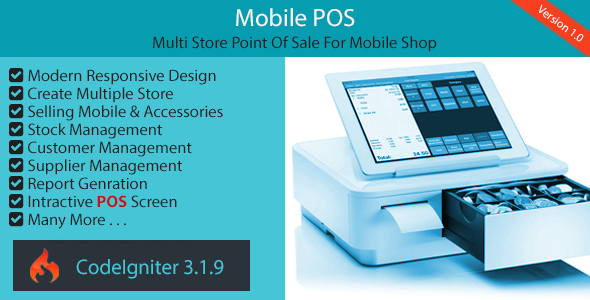 Mobile POS is a multi store Point Of Sale application for mobile shop. It is very easy to use. You can create unlimited store and whorehouse in this system. You can keep tracking your sells, customers, suppliers and much more. We provided easy reporting feature for getting your sales, stock and all others activity.